In the last few years, solar homes have been sprouting up everywhere. Once a rarity in real estate listings, these homes with photovoltaic panels are now commonplace. If you’re considering buying a house with solar panels, you’ll need the answers to a few questions before making your final decision. Buying a solar home (one powered by photovoltaic panels) should result in lower monthly electricity bills — theoretically. Certainly you could end up with low or nonexistent power bills, or you may even get credit from the utility company under its net metering program. But just because a home is solar-powered doesn’t mean your electricity will be free. For example, your household energy needs may be much higher than those of whomever installed the system. In that case, you’ll have to do the math and compare the size of the photovoltaic system to your typical electricity consumption to see how much the solar array will help you. You don’t want to be unpleasantly surprised when that first electricity bill shows up at your new address. And you definitely don’t want to make any home financing decisions based on such assumptions. After comparing sales data for houses with and without photovoltaic panel installations, the Lawrence Berkeley National Laboratory determined that solar-powered homes typically sell for about $15,000 more than those that lack this technology. Although that probably sounds great to a home seller, it’s important for buyers to look a little further into the details. Is the solar home you are considering really worth that extra $15,000? You may want to have a professional photovoltaic contractor examine the quality of the components and installation to be sure. It’s also a good idea to have a roofing contractor take a look to ensure that the roof structure is sound. A solar array must be installed on a solid, undamaged roof. Fixing a roof after installation requires removing the photovoltaic panels, which makes repairs quite costly. Perhaps most important is learning how or if the system is financed, leased or owned outright and whether you will be obligated to continue making payments. These considerations, unless thoroughly explored during the home’s inspection period, are extremely important to verify before closing on your house. If your goal is to own a solar-powered home, you may be better off buying a house first and then installing photovoltaic panels. Your choice of homes will be better if you don’t require a PV system to already be in place because you’ll have a better chance of finding the ideal home. And if you add solar panels yourself, your system will be designed to meet your household energy demands, not the needs of another family. Having a PV array installed yourself ensures that you have the most efficient equipment available today and that it’s covered by the manufacturer’s warranty. It will also ensure that the installation is completed by an experienced professional photovoltaic contractor. If you want to buy a new home with solar capabilities, look for builders and communities offering solar-ready homes. These homes have been designed and built with all of the infrastructure for photovoltaic power adoption in place. All you have to do is choose your solar installer and move forward. One word of caution: Builders will recommend — and perhaps even offer a financial incentive — for using their preferred solar installer. Don’t automatically agree to this approach without first talking to other solar contractors and requesting estimates. You may find that approach less expensive than the aggregate cost of using their preferred contractor. Intermountain Wind & Solar is the largest and most experienced commercial and residential photovoltaic system contractor in the Intermountain West. We can take your dream house and turn it into an efficient solar-powered home. Call to schedule a free consultation with our team today to learn more about solar homes. Photovoltaic power and wind energy system installations have been on the rise for decades, both here in the United States and around the globe. Last year, however, was a banner year for renewable energy. In 2015, led by wind and solar power, renewables surpassed coal to become the world’s largest source of installed energy generation capacity. The International Energy Agency (IEA) recently released a renewable energy market analysis and forecast, revealing exciting world records for solar and wind power. Their key research findings paint a positive picture for the future. According to the IEA report, a whopping 500,000 solar panels were installed every day around the world in 2015. Altogether, 49 gigawatts (GW) of photovoltaic power were added to the global power markets. Wind power capacity additions were even more impressive, with 66 GW installed. China, which accounts for about half of the wind additions, installed the equivalent of two wind turbines every hour last year. Renewables grew more than 15 percent over the previous year, and with a total of 153 GW of energy generation, they now represent more than half of all new power capacity around the world. To put this in perspective, the IEA says that this is more than the entire power capacity of Canada! Worldwide growth in wind and solar power is expected to continue. The IEA expects renewables to remain the fastest-growing source of energy capacity, with their share of the market increasing to further close the gap with coal. The IEA forecasts that by 2021, global renewable energy generation will exceed 7,600 terawatt hours. That’s equivalent to today’s total energy generation of the United States and European Union combined. To put it another way, over the next five years, we will see the equivalent of 30,000 solar panels and 2.5 wind turbines installed every hour. Unfortunately, renewable energy policies remain uncertain in many countries. Financing for wind and solar energy systems is also still a barrier in some parts of the globe. So while 2015 was a record-breaking year for renewables, continued accelerated growth will depend on key global changes. The IEA is optimistic on this point, and indicates that policy and market improvements could spur growth by about 30 percent over the next five years. The IEA also believes that these expectations are quite low in comparison to the incredible untapped potential of wind and photovoltaic power. And in an effort to remove barriers to adoption and boost renewable energy use, the organization is working with governments around the world. Are you ready to join the solar power revolution? Intermountain Wind & Solar is one of the top 100 contractors in the country, installing professional residential and commercial solar energy systems throughout Utah, Colorado, Wyoming, Idaho, Nevada and the Intermountain West. Contact us today to schedule a free home or business photovoltaic power consultation. Solar power is getting a new advocate: Salt Lake City. Joining nearly 20 other cities across the country, Salt Lake City officials have pledged to run the city completely on clean energy by 2032. Solar power projects will help in creating the path to 100 percent renewable energy. As the largest city in Utah, Salt Lake City’s decision to make the transition to renewable energy could spur growth elsewhere in the state and in the nearby Intermountain West states. Temperatures have been heating up all around the world, Salt Lake City included. In fact, research shows that Utah is warming twice as fast as the global average. The warmer temperatures may be enjoyable, but they can also reduce the snowpack, cause changes in our water systems and lead to more extreme weather events. And if carbon pollution in the city goes unchecked, emissions could make the climate-related problems worse. Utah has an abundant supply of solar energy, as it is one of the sunniest states in the country. Making the switch to solar power and clean energy systems will reduce the city’s carbon footprint and allow for less dependence on foreign oil. Charting a course for the transition to clean energy, city leaders have announced a goal of providing 50 percent of municipal electricity through solar and clean energy projects by 2020. To reach that goal — and meet the broader 2032 deadline — officials are exploring new options and ideas. Summit County and Park City have partnered with the city on a renewable energy study. The research is expected to present new clean energy options, including solar power solutions, to homeowners and businesses. The newly formed Utah Climate Action Network is also a part of the city’s plan. Joining with community members and other local organizations is expected to drive the adoption of renewable energy. And since 2014, the city has partnered with large commercial property and building owners to seek out new efficiency and conservation measures that can reduce carbon pollution. Reducing waste can help the city reach its energy goals. Several SLC solar projects are already underway. Over 4,000 photovoltaic panels are powering properties throughout the city. New solar installations are also planned for several fire stations by the end of 2016. Plus, Rocky Mountain Power is offering a solar power subscription program. Subscriber Solar will allow residential and commercial customers to get electricity from a new 20-megawatt solar farm scheduled to go into production at the start of 2017. Are you ready to make the switch to renewable energy? The experts at Intermountain Wind & Solar design cost-effective photovoltaic systems to meet the energy needs of Utah businesses and homeowners. Call to schedule a free solar power consultation today. Thanks to the falling costs of solar power systems, more and more homeowners are installing photovoltaic arrays to cover their household electricity needs. But many are failing to take energy efficiency into consideration when planning their solar power systems, and this ends up costing them money. When it comes to saving money with solar power, energy efficiency is a valuable tool. Fortunately, you have many options for making your home more efficient when investing in photovoltaic power. Your energy consumption dictates what size solar power system you’ll need. The more electricity your household uses, the larger your photovoltaic array will need to be to generate enough energy to power your home. Taking steps to increase efficiency will mean your home needs less electricity — and therefore, you can install a smaller and less expensive photovoltaic system. But making your home more efficient costs money up front. So does it really make sense to spend the cash on efficiency? The answer depends on you, your power needs and your budget. Each dollar spent on energy efficiency measures can save you between $3 and $5 on a solar array. So let’s say you put $1,000 into decreasing your electricity consumption — that could translate to savings of up to $5,000 on your photovoltaic installation costs. But you have many other options for increasing your savings when installing alternative energy systems. Photovoltaic power systems are eligible for many types of federal, state and local solar tax credits, rebates and grants. Many homeowners can save up to 50 percent on their photovoltaic installations by taking advantage of these incredible financial incentives. Many are available for energy efficiency upgrades as well. For instance, homeowners can qualify for a federal tax credit of up to $500 for insulation and home sealing products. State-level incentives are available in many areas, and some Intermountain West utility companies also offer rebates for a variety of energy-saving improvements. To find offers in your area, visit the U.S. Department of Energy’s Database of State Incentives for Renewable Energy (DSIRE), or check with your local utility company. Making Your Solar-Powered Home More Energy Efficient? A home energy audit is a great way to identify ways to boost your efficiency. Home Energy Saver (HES), an online audit tool created by the Lawrence Berkeley National Laboratory, offers suggestions. Simply answer a few questions and fill out the form for a personalized list of recommendations. Or you can choose to have a professional home audit. Some utility companies provide this service for free. But if yours doesn’t, an audit is well worth paying for, because a professional can detect potential energy upgrades that you and the HES may miss. In Utah and throughout the Intermountain West, Intermountain Wind & Solar can help maximize your electricity cost savings with photovoltaic power. Are you ready to explore your options for energy independence? Browse our website or give us a call today to learn more about the energy efficiency of solar power. Bringing down solar soft costs is key to speeding up the widespread adoption of photovoltaic power, according to the U.S. Department of Energy (DOE). To that end, at the beginning of 2016, the department’s SunShot Initiative provided $13 million in state-level funding for research exploring new ways to bring down these expenses. Now the SunShot Initiative has awarded an additional $21.4 million in funding to tackle challenges in reducing soft costs. This research puts our tax dollars to work to help make solar energy more affordable for all U.S. residents. Soft or indirect costs are considered to be one of the biggest barriers for those interested in solar energy. These expenses can account for as much as 64 percent of the price of a photovoltaic system installation. What are soft costs? Supply chain costs, installation and labor charges, financing, permitting fees, contractor overhead costs — basically, everything except the solar panels, mounting components and other photovoltaic equipment. The $21.4 million SunShot Initiative funding is earmarked for 17 projects aimed at finding new strategies to reduce the costs that prevent more homeowners from investing in photovoltaic power. Nine of these projects are a part of the Solar Energy Evolution and Diffusion Studies (SEEDS) program. 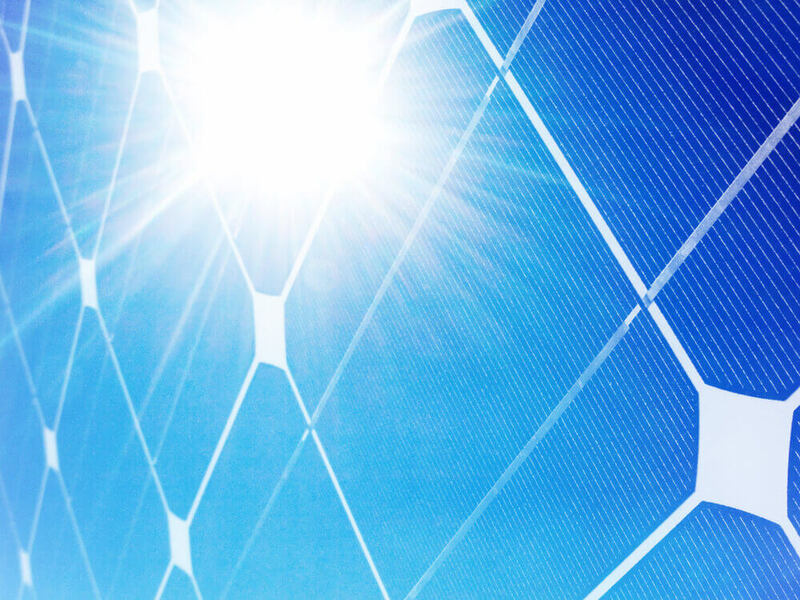 The SEEDS projects will examine the solar marketplace structure to determine how photovoltaic technologies, the utility grid and business development may be supporting or hindering solar access. In this round of SEEDS funding, researchers will pay special attention to two new areas of interest. Some projects will focus on low- and moderate-income solar adoption, looking for ways to get more people in these communities to invest in photovoltaic power. Other studies are geared toward understanding how institutions can influence change within the energy industry. The remaining eight projects the DOE is funding are part of the SunShot Initiative’s State Energy Strategies (SES) program. These studies are expected to help the states meet their renewable energy goals. The SES projects will study the solar energy planning process to identify how the states can make it easier and more affordable for families to make the switch to photovoltaic power. This research will allow the states to understand the factors influencing solar energy growth, helping them to develop strategies to cut nonhardware expenses and other barriers to adoption. Intermountain Wind & Solar, serving homeowners and businesses throughout the Intermountain West, is committed to making alternative energy solutions affordable for everyone. IWS offers bulk purchasing and other programs that reduce solar soft costs and make photovoltaic power more affordable for homeowners and businesses throughout Utah, Nevada, Colorado, Idaho and Wyoming. We’ll answer all of your questions and demonstrate the significant advantages of photovoltaic energy for you. Contact us today to schedule a complimentary consultation, and to learn how we are working to minimize the impact of solar soft costs. The solar energy industry is booming, and U.S. residents are definitely supportive of this photovoltaic power revolution. A recent survey from the Pew Research Center found that almost 9 out of every 10 adults favors expanding the use of solar power in the United States. An impressive 89 percent of those polled want more solar panel farms. No other energy source enjoys this much public support, although wind turbine farms come close at 83 percent. Nonrenewable energy sources are not looked upon nearly so favorably. More than half of adults surveyed opposed expansion in the coal mining, fracking, nuclear power and offshore drilling industries. The survey results nearly mirror the planned energy capacity developments for 2016. Planned solar expansion will total 9.5 GW, more than any other energy source. And that figure doesn’t include distributed solar, such as rooftop photovoltaic panels, which totaled roughly 2 GW in 2015. Wind capacity is close at 6.8 GW, although natural gas additions are slightly higher with 8 GW planned. Of those who participated in the Pew survey, just 4 percent had already installed residential photovoltaic arrays. However, 40 percent admitted to seriously considering solar energy for powering their homes. Breaking the results down by region indicates that homeowners in Western states are the most interested in installing photovoltaic arrays. About 14 percent of the Westerners polled had home solar power systems, with another 52 percent contemplating a photovoltaic installation. Why is solar power more attractive to people in Western states? While many factors and considerations are involved, the most common reasons include the sun-drenched climate and higher electricity rates in the Southwest and Intermountain West. Survey respondents who have installed or are considering installing photovoltaic systems did so for a variety of reasons. For most people — a full 90 percent — saving money on utility bills was the primary motivation. The environment was another big motivation, important to 87 percent of those polled. Homeowners are also jumping on the photovoltaic bandwagon as a result of the federal solar tax credit. This financial incentive, which offers a 30 percent income tax credit based on the cost of installing a photovoltaic system, was instrumental for 60 percent of those surveyed. Making the switch to photovoltaic power offers countless advantages to homeowners in Utah and throughout the Intermountain West states. Contact us today to schedule a consultation, and let the alternative energy professionals at Intermountain Wind & Solar explain how solar energy can benefit you. Could commercial solar power be the answer to decreasing energy expense in the hospitality industry? According to the American Hotel & Lodging Association, hotels across the country spend more than $8 billion every year on energy. Commercial photovoltaic power has the potential to create significant savings for hotels, since covering even a portion of electricity costs with free energy from the sun could massively lower operating expenses. Unlike some types of commercial buildings, electricity makes up a large part of the operational expenses at most hotels. Hotels continuously run air conditioning or heating to maintain guest comfort. Also, indoor and outdoor lighting are in use 24 hours a day, all year long. Solar panel installations can offset much of this necessary energy consumption, allowing hotels to drastically cut utility bills. Photovoltaic systems have an attractive rate of return on investment (ROI) for hotel owners. Many convenient financing options are available, and thanks to the federal solar tax credit and other state and local financial incentives, commercial installations are more affordable today than ever before. Many hotels have large, flat roofs that are ideal for commercial solar installations. But not every property is right for a rooftop PV array, as some roofs cannot bear the additional weight. Hotel roofs may also be crowded with vents and other equipment, or have shading issues from nearby buildings and trees. Hotels with unsuitable rooftops can opt for a ground-mounted solar array, installed on an unused portion of sunny land. One of the most popular alternatives to commercial rooftop arrays involves mounting photovoltaic panels on carports, parking garage and shade structures. These alternative PV installations can be just as effective at producing energy and can be designed to integrate well with the look of the hotel property. Today’s energy-savvy consumers are interested in supporting businesses that are considerate of the environment. Solar power is a renewable form of energy that doesn’t rely on fossil fuels or create greenhouse gas emissions. And by installing photovoltaic systems, hotel owners can market their properties as eco-friendly. Many consumers are drawn to businesses that are environmentally responsible, and hotels that adopt solar power can use that fact for a marketing advantage. Sustainability helps to attract guests, particularly in the corporate sector where green travel practices are growing in popularity. Intermountain Wind & Solar offers a variety of photovoltaic power system options to meet the needs of the hospitality industry. For more information on commercial solar for hotels in Utah, Colorado, Idaho or Wyoming, contact us to schedule a professional consultation. Solar power is getting a major boost, thanks to a large investment by the U.S. Department of Energy. The DOE has already funded $39 million in solar power projects thus far in 2016, but their commitment to finding new renewable energy solutions doesn’t end there. Recently, the DOE unveiled another $30 million investment for a new consortium to speed up the development of low-cost, photovoltaic energy. This exciting project is a part of the DOE’s revolutionary SunShot Initiative, and will form the Durable Module Materials (DuraMat) National Lab Consortium. The project brings together the National Renewable Energy Laboratory (NREL), the Lawrence Berkeley National Laboratory, Sandia National Laboratories and the SLAC National Accelerator Laboratory operated by Stanford University. The DuraMat program will focus on new, more cost-effective solar module technologies. Lowering the price of solar energy is the overarching goal, but the consortium hopes to discover and develop new designs and materials for photovoltaic modules. The DuraMat team plans to create an integrated data hub of photovoltaic material durability studies, using analytics to identify and perfect solutions for reliability issues. Modeling and simulation tools, prototyping, module field testing and materials forensics will all be employed as part of the consortium’s solar power research strategy. DuraMat creates synergy by bringing together these prestigious university organizations and the advanced technology of their labs. This collaboration is expected to facilitate module research and development at unprecedented levels. In fact, the consortium expects that their work will double the rate at which solar manufacturing companies are able to implement new technologies in their photovoltaic modules. The design, testing and production of advanced photovoltaic technologies has long been a challenge for solar manufacturers. DuraMat will make it easier for companies to access scientific research, industry expertise and other advanced resources. As a result, new photovoltaic materials will be able to enter the market more quickly, providing U.S. companies a competitive edge in the renewable energy industry. Should You Invest in Solar Power Now? As always, an exciting collaboration and the potential for revolutionary technological development brings to mind the usual, pressing questions: Would it be worthwhile to hold off on switching to photovoltaic energy or installing solar power at your home or business? Certainly, if you wait, you may eventually be able to purchase a more efficient system, or one that has a lower initial investment cost. But delaying the adoption of solar energy doesn’t make much sense if you look at the bigger picture. Any new technologies that are developed won’t be available to consumers for years, based on the research and development cycle. Also, the discovery of a “better mousetrap” may come only after years of research. Even more pressing, many of the current financial incentives for adopting solar power are disappearing. State and local rebates and grants are becoming scarcer, and the federal solar tax credit won’t be around forever, either. After 2019, the amount you can claim steps down, and the credit is scheduled to be eliminated in 2022. So if you put off investing in today’s already-effective photovoltaic power technologies, you could pay thousands more for your system. Plus, you’ll continue paying those outrageous monthly electric bills. Intermountain Wind & Solar is committed to helping residential and commercial customers in Utah, Idaho, Nevada, Colorado and Wyoming invest in cost-effective alternative energy solutions. Contact us today for a free solar power consultation.